Flu, from the word influenza, is characterized by fever, chills alternating with burning heat, aching muscles, and a depth of tiredness that requires one to lie down, but colds and coughs are far milder. Flu is different to colds, coughs, and sore throats, in that it is accompanied by a temperature. In babies and children, if a temperature is present, it is of the utmost importance to see a doctor immediately, because, if left untreated, in babies and young children, it can cause deafness, or worse. In adults, the urgency to see a doctor is lessened. Doctors will tell you that colds are caused by a virus, for which there is no cure. Consequently, you are told to have bed rest, and wait out the one or two weeks that the virus lasts. Doctors suggest that most coughs, which accompany a cold, are caused by mucus running down your throat, and irritating it. It is only when there is a respiratory infection, that the doctor will prescribe antibiotics, but this does not get rid of the cold virus, only the symptomatic bacterial infection. 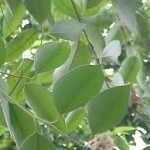 1) Use Eucalyptus Essential Oil, where there is congealed, stagnant mucus, either in the nasal or bronchial passages, as Eucalyptus FLUIDIFIES this type of mucus. There are many species of Eucalyptus Oils on the market, but only Eucalyptus globulus Essential Oil contains 1.8 Cineole which is a powerful antiviral, rarely found in nature. 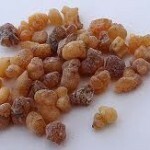 2) Use Frankincense Essential Oil, where there is excessively runny mucus, either in the nasal or bronchial passages, as Frankincense DRIES this kind of mucus. If you have stagnant, dry mucus, or a dry cough: 35 drops Eucalyptus Essential Oil in 4 oz Hemp Seed Carrier Oil. If you have runny mucus, or a wet cough: 35 drops Frankincense Essential Oil in 4 oz Hemp Seed Carrier Oil. Even though doctors say there is no known cure for cold virus, which produces a cough, Dr. Linus Pauling, became a winner of the Nobel Prize, for his discovery that massive amounts of Vitamin C, killed the cold virus. Even though this Vitamin C cure is not widely recognized in the medical profession, due to the fact that doctors receive little training in diet and supplements, it has been found to lessen the intensity and duration of a cold, and as a result, a cough. A daily maintenance dose of Vitamin C, for someone who is not sick, is 300 to 1,000 mg a day. So if you have a cold, you need to gradually increase that. Start with 1,000 mg, 3 times a day. If this does not cause loose stools, increase your dose the next day to 1,000 mg, 5 times a day. If loose stools are still not a problem, increase the dose to 2,000 mg, 4 times a day. Dr. Pauling recommended up to 20,000 mg (2 grams) of Vitamin C, but urges you to build up to it at your own pace, watching out for loose stools. His research proved that mega doses of Vitamin C created an antiviral effect in the body, an effect which is not created at low doses.